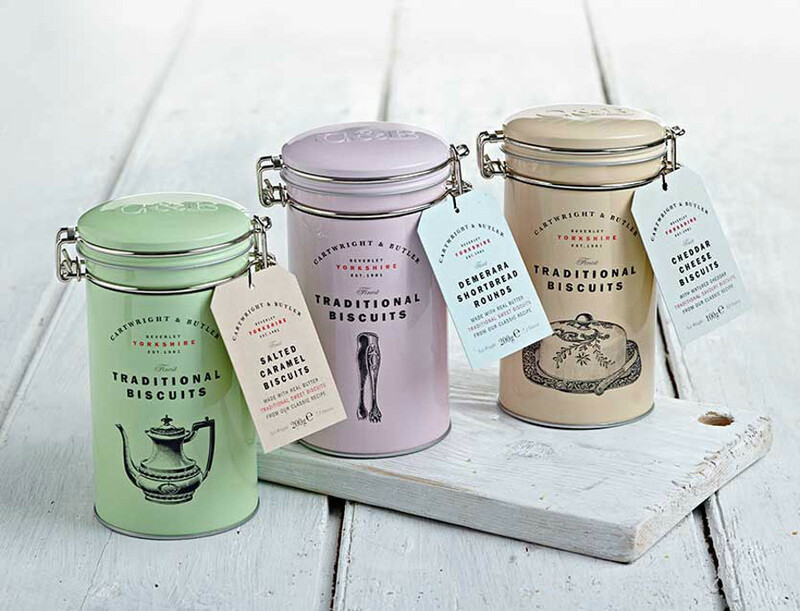 Traditional shortbread biscuits made in the UK with flour, sugar and lashings of butter. 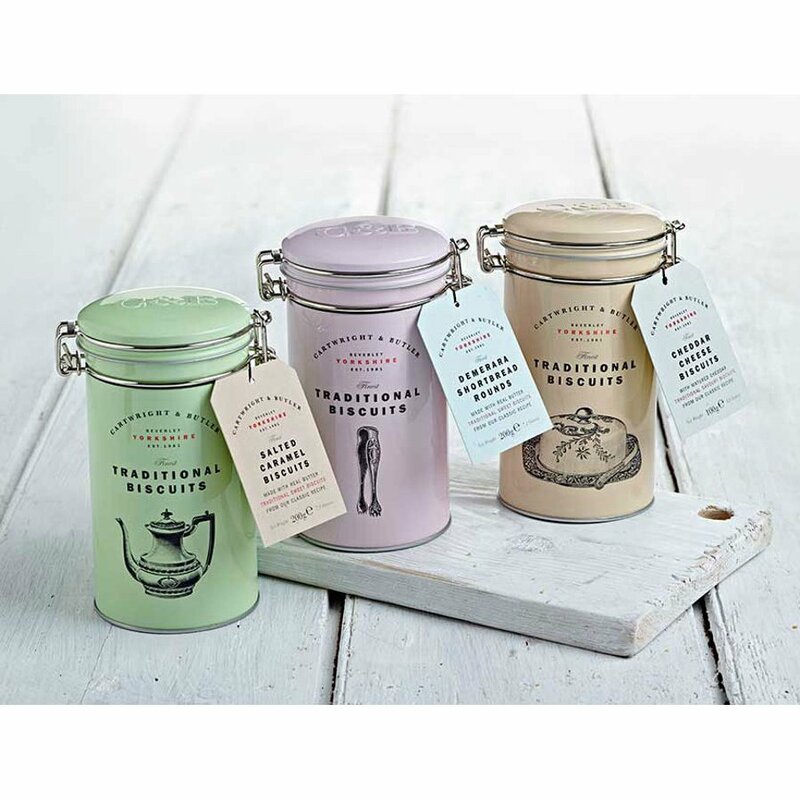 The perfectly crumbly biscuits go great with a nice cup of tea and are presented in a lovely reusable tin with a Kilner style lid. Flour (Wheat Flour, calcium, iron, niacin, thiamine), salted butter (33%)(butterfat (milk), water, salt), sugar, demerara sugar, corn flour, milk powder. 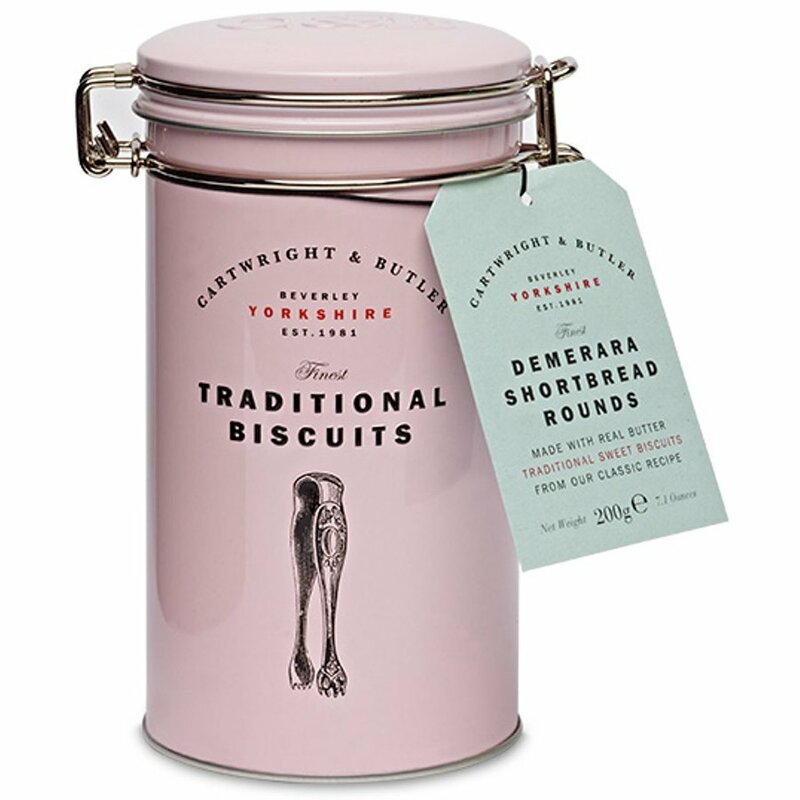 The Cartwright & Butler Demerara Shortbread Rounds in Tin - 200g product ethics are indicated below. To learn more about these product ethics and to see related products, follow the links below. Looks good. Not tried them yet. 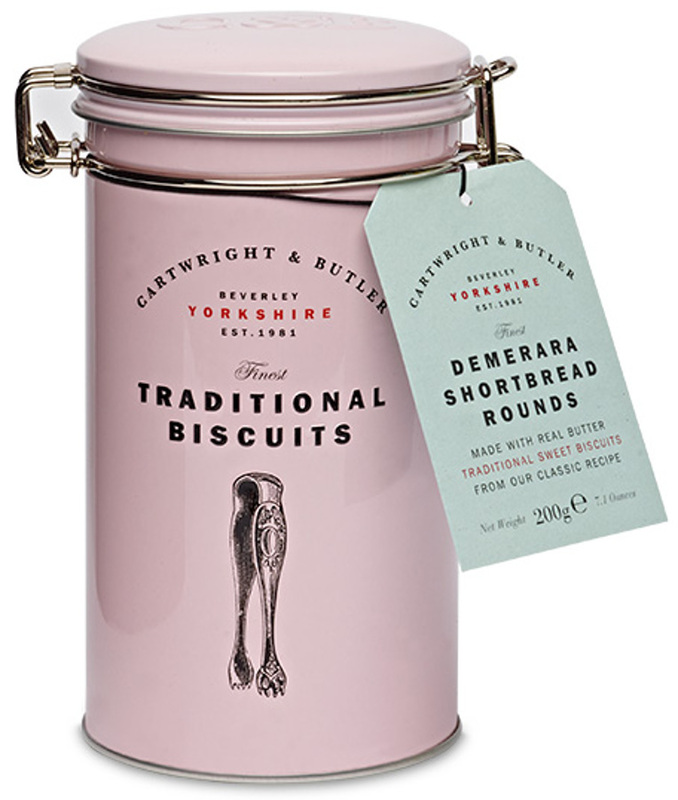 There are currently no questions to display about Cartwright & Butler Demerara Shortbread Rounds in Tin - 200g.